whatdoes bulltrue mean in the game halo reach??? I'v looked every were but I can't find out how to enter a cheat on the..
How does the Utility in Halo Reach Armory effect the gameplay? 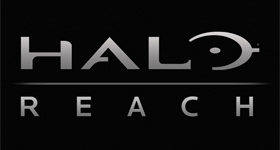 Im a halo reach player. How do you download joy riders just keep drivi.. Okay I just got an xbox 360 a couple months ago and just not got xbox ..
How to download halo reach forge maps and do I need a hard drive to do..
Are you an achievement hound? If so, then this guide is for you! Herein you will find tips for unlocking each of the games 49 achievements, as well ..
Bulltrue is a Halo 3 and Halo: Reach Multiplayer medal that is awarded when a player kills another player who is in the act of an Energy Sword lunge. The lunge does not have to be directed at the receiver, only any player. It is represented by a brown diamond with a silver outline and a bull's head in the center. It is accompanied with the message, "Bulltrue!". Fight someone with energy swords. Win. When someone with a Sword lunges at you, and you kill them Mid Lunge. A Bulltrue is a medal when you kill someone that is lunging into you with a sword, or was just about to kill you with the sword. How to download halo reach forge maps and do I need a..
How do you play 2 players on the sam..